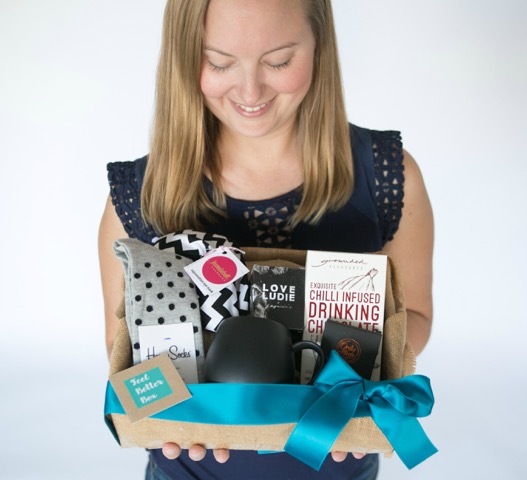 I’m delighted to share my interview with Sarah Willmott, Founder of Feel Better Box and Ideal Gift Hampers. I’m Sarah – I am a wife to one husband, mum to a four and five year old and day dreamer. I love all dance related films, I am sucker for murder mystery TV shows and love taking my kids to see kiddies movies or the beach. Having children allows me to do many things I adore, but it’s even better now I can share the experience with them. Feel Better Box is an online care package business specialising in get well/feel better/cheer up care packages. It is just over two years old. I fell into the world of self-employment after a terrible bought of flu. 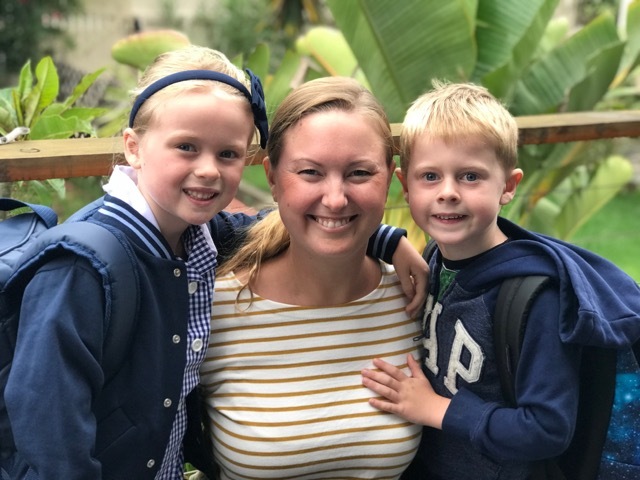 Becoming sick alongside my children and with no family in Sydney and my husband away on business, I wondered what might have helped me feel better? Once we had recovered from such a lonely and miserable week, a care package came to mind! If someone had sent me something to help me recover or take my mind off feeling unwell it would have really brightened my spirits. Then I thought about all the many people who I have met in Australia who also do not have any family close by or in those situations where you’d love to help someone feel better but don’t know what to send. I was made redundant from a large accountancy firm when I was six months pregnant with my second child. From there, once my son was born, I found a work-from-home role working for a lady who ran her own successful business. I thoroughly enjoyed the learning experience and always felt inspired by the lady I worked for. Once I had the idea of Feel Better Box, it then became my side hustle for a year and a half before something had to give. Taking that leap from paid employment to self-employment was a big deal! It almost felt as scary as when I told all my friends and family on Facebook that I had started my own business back in November 2015. I was a Personal Assistant, a role I loved and didn’t feel I would ever leave. But there was a big PA reshuffle and the decision about never leaving was totally taken out of my hands. Being made redundant set me on a different career path and eventually running my own business. So now I look back and wonder if I was actually destined for to be running Feel Better Box, because quite honestly – I would never have changed direction and left my job! The first thing I do before I get out of bed is turn off flight mode and see if I have had any orders! Then I check my emails and ask my husband what ludicrous time my daughter woke up (consistently around the 5am mark!). I have my children at home two days a week and at kindy three days a week. On the days they’re at kindy I can sit and focus on learning, planning, blogging, new supplies etc, along with packing new orders and everything else running a small business entails. On the days I have my children, I always take them out for most of the morning/early afternoon for activities and lessons. We get home around 2-3pm and I pack my orders for the day whilst my kids have some free play or TV time out. Then I pack them up and we drive to the post office and shops at around 4:30pm. We get home at 5:30pm where we do the usual dinner, bath and bed routine. In the evening I might check my emails but on a whole I catch up with any work on my working days when the kids are at Kindy. I would say I worked around 6-10 hours a week initially because of having the kids three days a week at home (pre 2017), working for someone else the other two days and then trying to squeeze my business into any spare minute or hour possible. Nowadays I work approx. 28hrs a week. Although this landslides to just wrapping orders over school holidays. I am incredibly lucky that my husband has supported us as a family these past six months since I stopped my paid employment to focus on Feel Better Box. This has enabled me to grow the business by 50% and save for a few projects I have up and coming in 2018. I hope that in the next six months I can get Feel Better Box in the position I would like it to be and can then contribute to our families living expenses and save for a nice holiday at Christmas time! Before moving to Melbourne recently, I had the luxury of having long kindy three days a week all year. On the two days I had my children, I just packed orders a couple of hours a day in the afternoon. My neighbour would occasionally look after my children whilst I popped up to the post office when my children looked exhausted. When we go on holidays, my parents and sister in Melbourne run my business for me! It just means some serious preparation and a bit of contact while I’m away. There are some great bonuses in doing this – it means that when we come down to visit, I can run my business from Melbourne! I’ve never had to close my store and it’s great to share the excitement. My family gets just as excited as me when an order comes in. It’s so true what they say – when you buy from a small business – someone does a happy dance. I think the biggest challenge when starting out is finding the time. It’s nearly always a side hustle on top of everything else going on in your life. Then there is that learning curve of never having run a business before (I love the learning side). And the last hurdle – having to wear all the hats – finance, social media, marketing, blogging, PR, Collaborations, Photography, SEO, keeping up with your emails, finding suppliers – have I missed anything? Probably. I tell myself that I will only have to do it for a short time longer and can then outsource to a real professional in each field. It’s great that I have a grasp of these things for when I do outsource them though…! What drives me the most about Feel Better Box is my goal of being able to take my children to and from School (my eldest starts school this year, so the proof will be in the pudding!). That aside, the best thing is doing everything on my terms, making my own decisions, trusting my instincts and learning all the time. It’s almost like everyday is a school day and I love that element of growing as a person and as a business. Nothing has ever excited me more, or driven me harder then working for my own business. Some times I pinch myself that I created the best job I could ever have dreamed off. Helping people feel better is my calling and I love that I can help loved ones send care packages. Make sure that what you decide to do sets your heart on fire. If you love it inside and out; it will do great. Because you end up thinking about it 24/7, doing it in any given spare minute and dreaming about it. You put your all into it and it shows – that’s when you shine and when your business shines. If you’re not sure, give it a try, but don’t give up your day job first. Running your own business is not for the faint-hearted. But then maybe life is too short and you should do something that scares you! New packaging! The time has come to invest in something a bit more luxurious, something with a bit of wow factor for my care package boxes. I have found the right designer and it’s in the pipeline starting this year. One other exciting thing is that I have a little bit of money set aside for hiring someone to help me with PR this year! I did try it on my own last year, but failed miserably. So this year, in the lead up to winter – I’m hoping someone can help me shout from the roof tops about my beloved business and I can help more people feel better. You can visit Feel Better Box here and follow on Facebook and Instagram. Check out Feel Better Box in the Self-Start Mums Directory or search for other mums in business!